The agents in the conference room stared blankly. 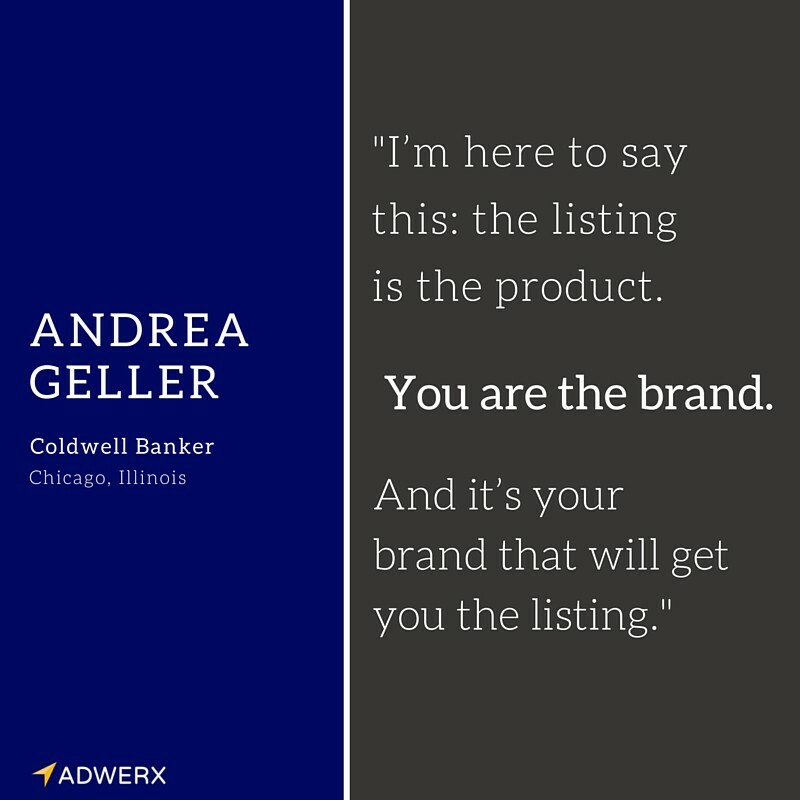 The presenter was none other than Andrea Geller, a veteran agent from Chicago and one of real estate’s top influencers. But for some reason, they just couldn’t absorb what she was telling them. This is unique thinking in an industry that revolves around property. 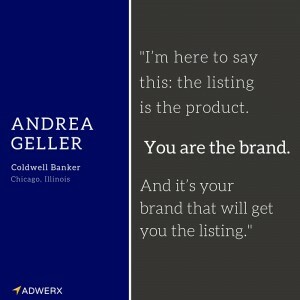 And this brand-centric approach is what brought her back to the offices of Coldwell Banker a few years ago. “You have to pay to get your brand out there. Nobody is going to do it for free.” And she’s right: Facebook is evolving into a pay-to-play platform for business and Twitter is following suit. Larger brokerages have the brand established, along with the support systems in place. It’s what agents give up when they migrate to smaller, independent brokers. Even if these brokerages position themselves as innovative, using technology tools to support their agents, Andrea notes the trade off. “It’s great to be innovative, but there’s a cost to that. What happens often with smaller brokerages is that the window between closings gets wider and can’t cover the overhead.” That’s something that larger firms can weather with greater skill, absorbing the downtimes without sacrificing their services to agents in an ever-fluctuating real estate market. Of course, an agent or team brand and a brokerage’s brand are two very separate and different things. “I’ve seen many agents achieve great success with their individual brand as well as successfully build a team.” But this is often more the exception than the rule. It can be hard to duplicate that success as an independent brokerage. Which brings us back to Andrea’s first point: how do you differentiate yourself and position yourself? For Andrea, it’s all about value. And not just value to home buyers and sellers. Her focus is on being valuable to her fellow agents. This is what we call social proof. Facebook pages. LinkedIn posts. Blogs. Reviews. These are all places where real estate agents can establish and amplify their personal brands. And they are most likely the first touches you will have with your peers or your clients. So monitor your networks. And don’t just cut and paste the same copy into each channel. 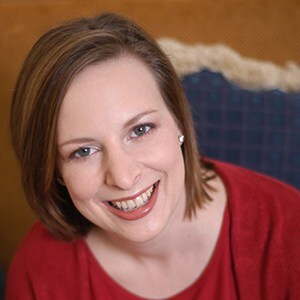 “I just cleaned up my own bios, and I’m doing them differently on different sites,” said Andrea. She’s a firm believer in cultivating that online persona, but keeping it authentic and owning responsibility.